Use Hubspot’s Marketing Free software to help you identify and engage your target audience. Simply add this powerful inbound marketing software to your website for free. Its signup and analytics capabilities will help you generate more qualified leads. Your sales team has a better chance to close more deals because you’ll know exactly who your customers are and the pages they’re visiting your site. Not only does this help your sales team, it gives your marketers (and copywriters) pages to target with fresh content. 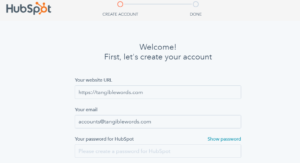 Hubspot’s marketing free software is ideal for small or medium sized business (with limited marketing budgets) because it’s free and easy to use without in-house technical support. You can then use the analytics to better understand your audience needs through their use of your website. Give them what they want, when they want it, ahead of your competitors. You can learn how to get started with Hubspot right now. Adding Hubspot’s marketing free software to your WordPress site is super easy. (It’s compatible with other CMS sites too like Drupal, Joomla, weebly and Squarespace too). Follow these steps and be ready with your business information and some content so you can start generating leads instantly. Download the Hubspot Marketing Free plugin (into WordPress or other website software). You can manually download the zip file to your desktop or server then follow the installation instructions in your CMS dashboard. Or, you can choose Hubspot Marketing Free from the plugin options in your WordPress dashboard. Activate your Hubspot Marketing Free software. Once you’ve installed the plugin select activate from your WordPress dashboard. 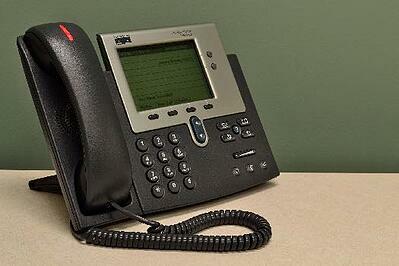 Add your business information to Hubspot. 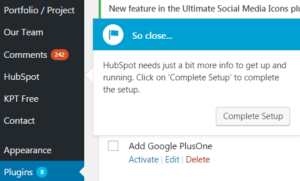 You’ll need to give Hubspot a little more information about your business, then select Complete Setup. Now it’s time to create your account. Here all you need is a url and email address. 5. Hoorah. Your new account will open. In this screen you’ll be able to create your first Lead Flow. Choose and customize a pop up or banner template for users to sign up with using email. Now you’re set to capture, track, and convert qualified leads. Once in your new Hubspot Marketing Free account, follow the instructions to finalize your content. You’ll need to add a Callout, a Form, a unique Thank you Message, and engaging Follow-up content so you can nurture new leads. Important: Don't forget that since Hubspot’s marketing free software is free, you have 7 days to look at the stats for your pop-up before it resets. Try it out. If you need help understanding it better or want to add more extensive Hubspot tools contact Tangible Words.